RSW- Artwork page, "Clouds In May"
"Among one man shows that Springfield art lovers have been privileged to enjoy in the last few weeks none has been viewed with more enthusiasm than the exhibit of crayon drawings by Robert Strong Woodward"
See also the Farms Gallery for related pieces. 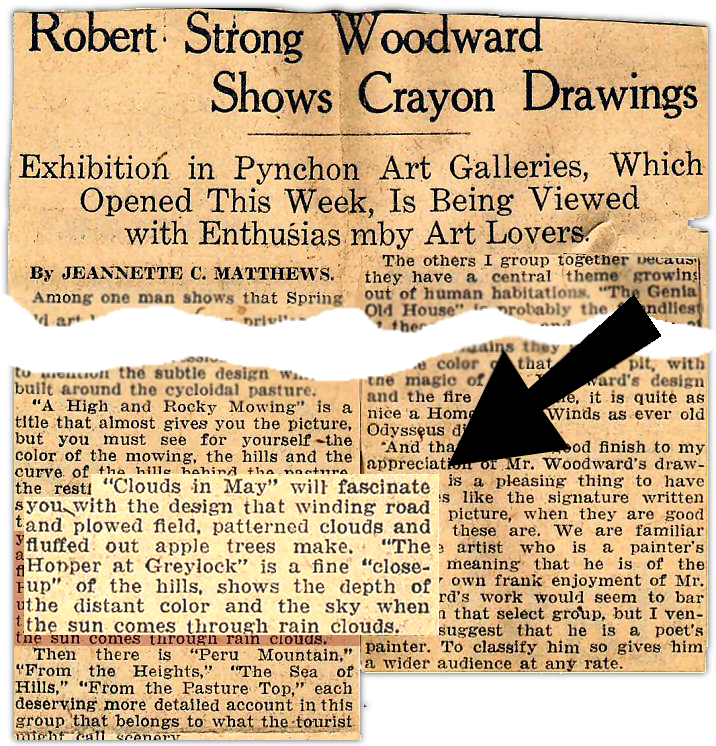 The Pynchon Gallery Exhibition is one of the few exhibitions that featured Woodward's "Crayon Drawings." As many as 13 were reported to be exhibited and this website is not aware of any exhibit that featured more than this number. The Deerfield Academy, 1932 Exhibition featured 10 drawings. 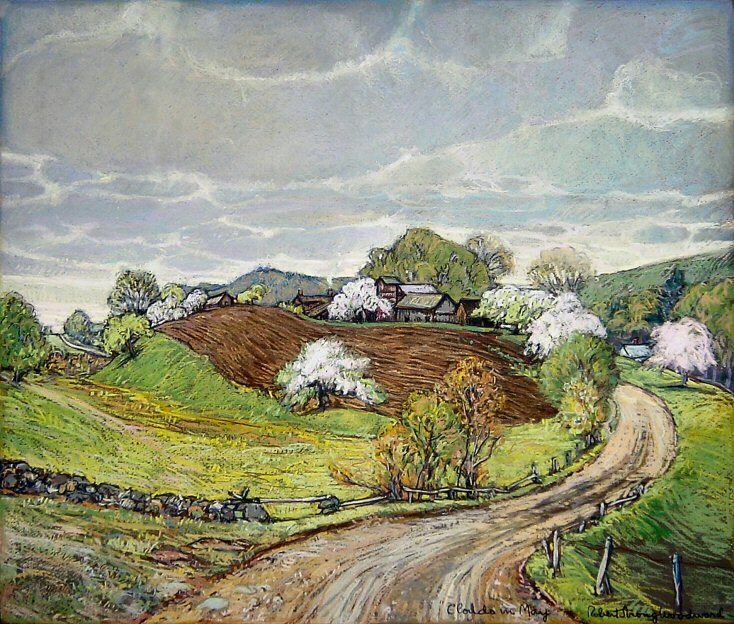 "“Clouds in May will fascinate you with the design that winding road and plowed field, patterned clouds and fluffed out apple trees make." This crayon drawing remains in the studio of the artist. There is a comment on this chalk drawing in this newspaper article.